Solar attic fans are one of those ideas that just make sense, they are simple, effective, inexpensive and they work exactly when you need them; when the sun is shining and it’s hot outside! I’ve been down in Texas visiting friends and family for the past month, taking in the different types of architecture here in San Antonio. I’ve been noticing the large pointed roofs on many of the houses, a feature designed to keep heat away from the ground floor. I’ve noticed the trees strategically positioned to shade windows and all of the white trucks parked out front… The ceramic tile that extends from bathrooms and showers to cover the entire house floor because cold tiles feel nice against bare feet on hot summer days. There a few really simple techniques you can use when designing a house to keep it cool. Have a ridge vent installed in addition to intake vents along the eves. This type of setup pulls in cold (or at least relatively cool air) from the sides of the house and drafts it up through the hotter internal spaces out through the top. You can use spray-on heat deflecting materials or attic foil such as Radiant Barrier (highly recommended by construction workers in these parts) designed to reduce radiant heat. 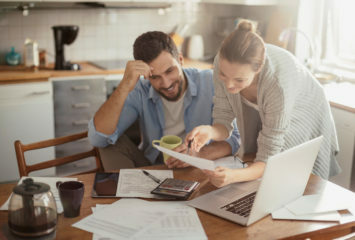 But both of these options are easier to do when you’re already replacing a roof or starting from scratch but will probably become more and more favorable as the price of electricity rises. This is exactly where solar attic fans. 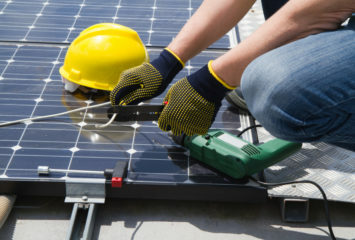 These devices come in all shapes and sizes, some lower quality than others, but they all follow the same basic concept: get air circulating through your attic space to keep it cooler and thus, keep your living rooms below the roof and attic cooler as well, all while conserving energy by leveraging solar power. It sounds simple but there is really more to consider here. First, you want to make sure you aren’t sucking cool air away from your living spaces. This can be avoided by checking the seals on inset light fixtures (Home Depot sells sealed ones) as well as light switch and plug outlets (you can get foam pads that fit behind the plastic covers and block the holes and cracks). You really want to make sure you have some eve vents on your house so there is a place, other than the rooms below, for air to travel up into the attic from. It’s a real bummer when you realize all of the AC you’re generating is being sucked up into your attic! Eve vents (also called soffit vents) and good sealing techniques will solve this. 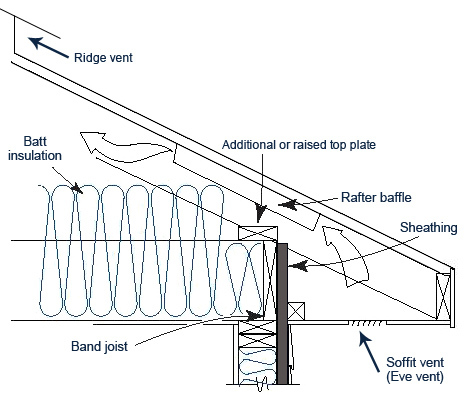 Installation of a solar electric attic vent is something you want to execute very carefully or hire a professional to do. Most installers recommend positioning one or two of them at opposite ends of the house. And don’t get thrown immediately if one of these contractors tells you otherwise about a solar attic fan. I heard one gentleman say “the hottest your house will be is after dark in August,” implying that the solar powered device would be shut off (no sun after dark), but he was missing one important point. Even if it were true that the hottest part of the day in a house was after the sun had gone down, it would certainly be less hot after a day full of venting than one with no venting at all. The best solution for one house is probably different from another and might combine all of the passive cooling techniques described here. A solar powered attic fan is certainly not going to hurt you if it’s installed correctly and fit into your venting design with a bit of intelligence. Consider plugging those air leaks, utilize a ridge vent or at least the eve vents as well as a fan approach and good luck with those hot summer days!